After a competitive Combine event last October, six drivers were selected to the 2016 NASCAR Drive for Diversity® (D4D) class and will join the industry’s premier development program for multicultural and female drivers, and pit crew members. Combine at Langley Speedway on October 20, 2015 in Hampton, Virginia. Talented drivers from across the Americas will compete for Rev Racing in the NASCAR K&N Pro Series East and NASCAR Whelen All-American Series, and attempt to follow in the footsteps of D4D graduates and current NASCAR national series drivers Kyle Larson, Darrell Wallace Jr. and Daniel Suárez. The 2016 class will be formally introduced to the industry as part of the Charlotte Motor Speedway NASCAR Media Tour on Jan. 19. 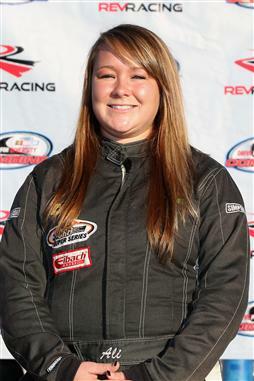 Rev Racing will field four teams in the NASCAR K&N Pro Series East and two in the NASCAR Whelen All-American Series. The 2016 class is led by returning driver Collin Cabre and newcomer Rubén Garcia Jr., fresh off his NASCAR Mexico Series championship last fall. After an impressive first year with D4D in which he won the season finale at Dover International Speedway and finished in the top 10, the 22-year-old from Tampa will again compete in the NASCAR K&N Pro Series East. 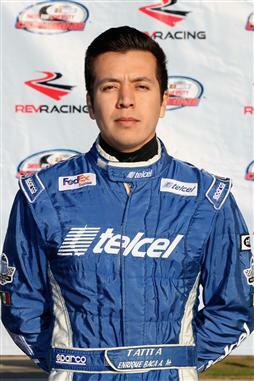 At age 20, the Mexico City native won four races in the NASCAR Mexico Series en route to his first NASCAR championship. 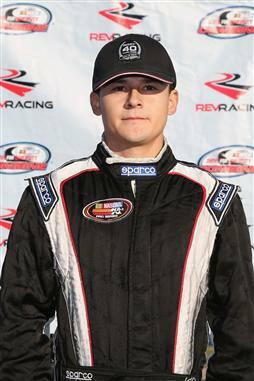 He brings his talents to the NASCAR K&N Pro Series East for his rookie season with Rev Racing. The 20-year-old Colombian-American from Alhambra, California, made his NASCAR K&N Pro Series West debut in 2014 and achieved four top-10 finishes in five starts with his family-run team. He will compete in the K&N Pro Series East. The 22-year-old from Fremont, Ohio, had her best NASCAR D4D Combine last year after turning in strong performances in previous combine events. 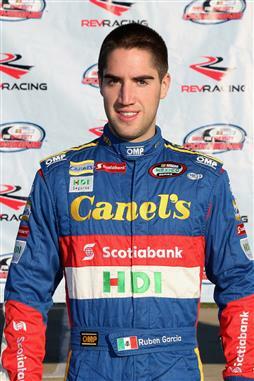 A second-place finisher in the ARCA/CRA Super Series, Kern will compete in the NASCAR K&N Pro Series East. Following an impressive showing at the Combine, Baca, 24, will race in the NASCAR Whelen All-American Series. Baca is from Monterrey, Mexico, and competed in his native country’s Super Copa Telcel series in 2015. Originally from Bogota, Colombia, Garcia, 18, earned the 2015 Wendell Scott Trailblazer Award for his competitiveness in the NASCAR Whelen All-American Series. He will return to the series with Rev Racing following a strong performance at the Combine last fall. Under Rev Racing owner and CEO Max Siegel’s leadership, NASCAR D4D aligns drivers with a team of executives, athletic directors, crew chiefs and mentors tasked with helping drivers achieve career successes; thus, improving their goal of reaching one of NASCAR's three national series. Since it began fielding D4D cars in 2010, Rev Racing has been the most consistent team in the NASCAR K&N Pro Series East, registering 17 total wins with six different drivers and at least one victory in each season. The 2016 NASCAR K&N Pro Series East season opener will take place on Feb. 14 at New Smyrna Speedway in New Smyrna Beach, Florida, where Rev Racing scored a win with Suárez in 2014. The 2015 NASCAR season featured a series of firsts and milestones for D4D alumni. 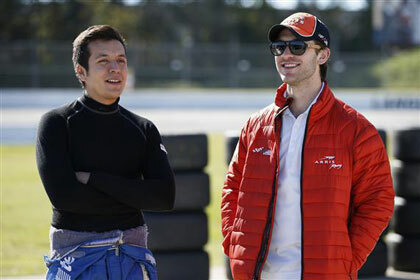 Suárez and Wallace Jr. were in close contention to win Sunoco Rookie of the Year in the NASCAR XFINITY Series, with Suárez becoming the first Mexican driver to earn top rookie honors. In 2015, more than 25 graduates of the NASCAR Drive for Diversity Pit Crew Development Program, also run by Rev Racing, pitted for national series teams. Mike Russell, jackman for the No. 60 Roush Fenway Racing team in the NASCAR XFINITY Series, became the first African-American D4D graduate to win a national series championship.